Brocky had a very successful show career and was campaigned extensively. 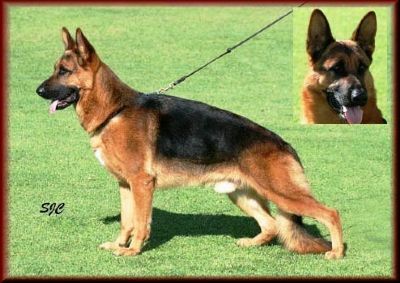 Brocky was owned in partnership with John and Jenny De.Lucia of Babenberg Kennels and was the sire of our Tonaker Kuddles and Keepsake girls. Tragically, Brocky passed away on May 17, 2010. We miss Brocky deeply and will never forget his gentle and loving nature.